I can't believe this long awaited film is just around the corner. This will be the last time I feature anything about Harry Potter and the Deathly Hallows: Part 1 until its release date next month. I don't want to over do it. I just thought this featurette was pretty cool and had to share it with you. It gives us a quick look at just how far Harry Potter has come and a taste of the final two chapters. I still can't believe it's coming to an end. This short clip doesn't give too much away, but if you want to keep things fresh, I wouldn't watch it. However, if you're a fan and can't help it, by all means, dive right in! 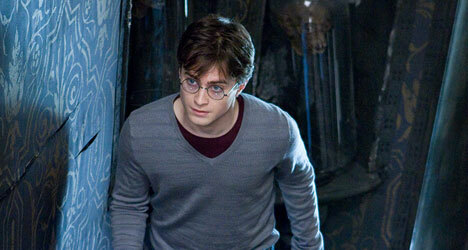 Be sure to watch the first full-length Trailer and SECOND Trailer for Deathly Hallows online as well. Harry Potter and the Deathly Hallows is again directed by British filmmaker David Yates, of Order of the Phoenix and Half-Blood Prince previously. The script was also written again by Steve Kloves, of Sorcerer's Stone, Chamber of Secrets, Prisoner of Azkaban, Goblet of Fire, and also Half-Blood Prince, but not Order of the Phoenix. This is based on J.K. Rowling's very popular series of books which have already concluded. This epic film hits theaters next month on November 19th. I seriously can not wait! How excited are you to see this film? I can't wait to see this movie.... Perhaps we should "make a date" around Thanksgiving??? you've had on HP. I cannot wait!